Brittle Bonds (The Guadel Chronicles Volume 3) saw Va'del and Jain driven from their mountain home by traitors among the People. The pair's time in the lowlands, surrounded by hostile priests of a foreign religion, tested them in ways they never anticipated, but they never forgot their friends and family who were fighting and possibly even dying on the frozen slopes of the White Spike Mountains. Shattered Ties picks up the story of that fight and follows the desperate efforts of Javin, On'li, Va'ma and the rest as they try to survive against overwhelming odds. The Guadel who were so opposed to Va'del joining their ranks are about to find out that he's the only person with any chance of saving them from the enemy that they created. 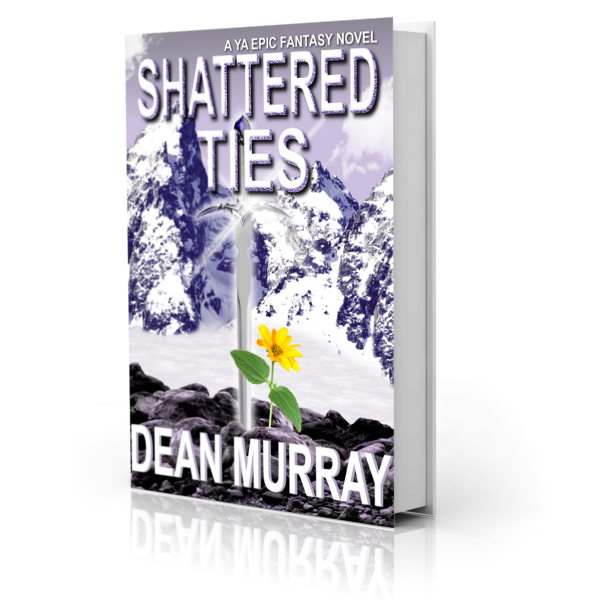 Shattered Ties is a clean Epic Fantasy novel with a 4.5-star rating on Amazon.